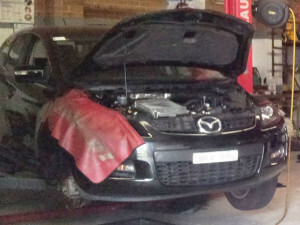 A local company from Girraween brought in their Mazda CX7 which required replacement of the timing chain. Unfortunately this is a common problem for this model and Mazda dealers charge around $2,500 to do this job. Also most independent garages don’t have the tools required to do this job and had turned them away before they contacted me. I was able to replace the timing chain using all genuine parts for less than half the cost the local Mazda dealer quoted. It’s a big job that involves around a full days work but I’m pleased to report that the CX7 is back on the road with a new and much quieter timing chain. 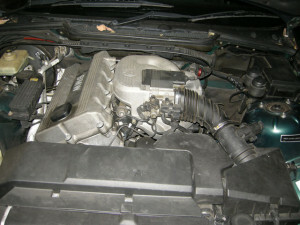 Jo’s BMW 318is needed a new starter motor and her husband had already diagnosed the problem himself. Jo brought in her BMW E36 3 series together with the replacement part to have it fitted after phoning for a quote. I was able to get the car back to her within just a couple of hours and she paid much less than she would have in most garages. With my experience with BMW I knew how to replace this part in the quickest possible time, much less time than the dealer quotes for this job, and passed the saving on to Jo. Here at our Girraween based workshop we specialise in BMW service and repairs. Atlantic Oil and Lubricants is an independently owned Australian company which was established in 1997. They produce quality and high performance latest specification lubricants for the Automotive, Industrial and Agricultural sectors. Their mission is to continue to produce all products in Australia where possible and to challenge foreign multi-national oil companies on issues of service and price. 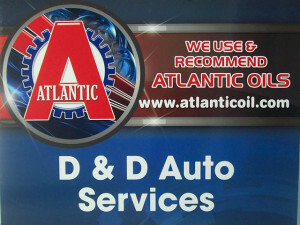 D & D Auto Services is now stocking and using Atlantic Oil’s range of mineral and synthetic oils for petrol and diesel engines, transmission oils, coolant and greases. You can read more about Atlantic Oil on the Atlantic Oil website.